Christine Romans is one busy lady! She co-anchors "Early Start" with John Berman weekdays at 4am ET, she is CNN's chief business correspondent and the host of "Your Money," CNN's Saturday business program airing at 9:30am ET. Got a money-related question? Want some [very] early morning tweets in your feed? Connect with Christine! See more content from Christine on CNN.com/YourMoney. 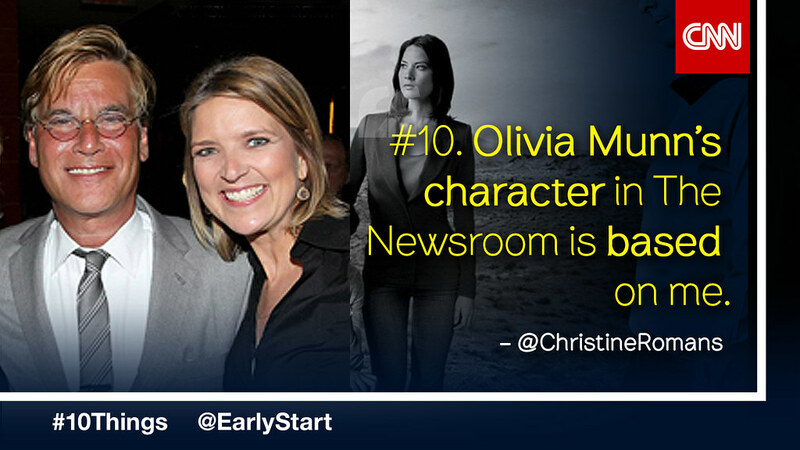 For 10 things you probably don't know about our other morning anchors, visit New Day's page.